If your important data files have been deleted from your Android device, then don’t worry. There is a smart and secure way to recover deleted files Android without root. Our photos are pretty important to us and losing them can be a nightmare. Thankfully, there is an easy way to recover deleted photos Android without root (together with other data like messages, videos, contacts, etc.). Most of the users think that in order to run a recovery tool, they need to root their device. This is a common misconception. 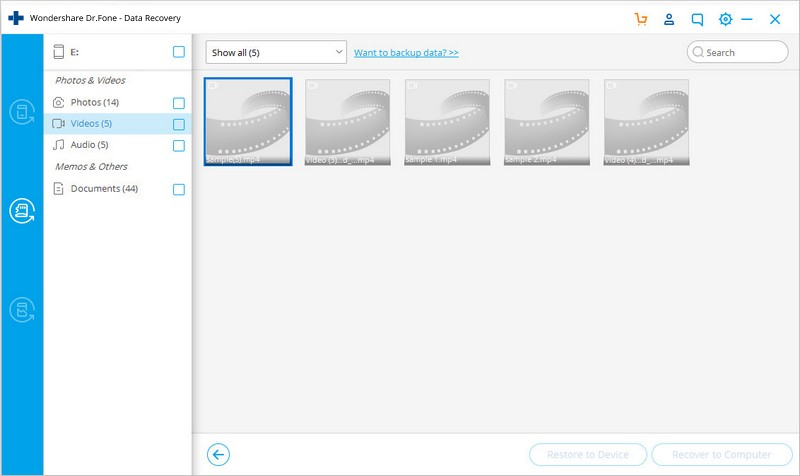 In this post, we will teach you how to recover deleted videos from Android without root and other important data files. Part 1: Why most Android data recovery software need root access? 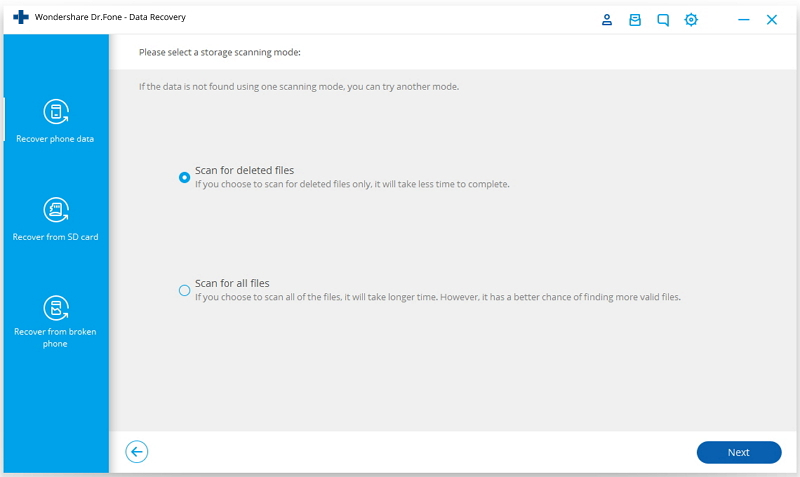 Part 2: Recover deleted files Android? Possible without root? You might have already seen plenty of Android data recovery tools out there. To make it work, most of them require a root access on the device. This is because in order to perform the recovery operation, the application needs to perform a low-level interaction with the device. This can also include an interaction with the device’s hardware (storage unit). To prevent an Android device from getting any malware attack and restrict customization, Android has made certain restrictions. For instance, most of the devices follow an MTP protocol. According to the protocol, users can’t have an advanced level interaction with the device. Though, in order to restore lost data files, an application would be required to do the same. Therefore, most of the data recovery applications out there demand a root access to the device. Fortunately, there are a few tools that can perform data recovery without gaining the root access. Rooting has a few merits, but it also comes with plenty of disadvantages as well. For instance, it voids the warranty of a device. To resolve this, plenty of users search for a way to recover deleted files Android without root. Not only can you recover deleted text messages Android without root, we will also show you how to recover deleted photos and videos from Android without root. By taking the assistance of dr.fone - Recover (Android), you can recover deleted photos Android without root. Not just photos, you can recover different kinds of data files such as text messages, videos, call logs, documents, audios, and more with this remarkable data recovery tool. Compatible with more than 6000 different Android devices, its desktop application runs on both, Windows and Mac. 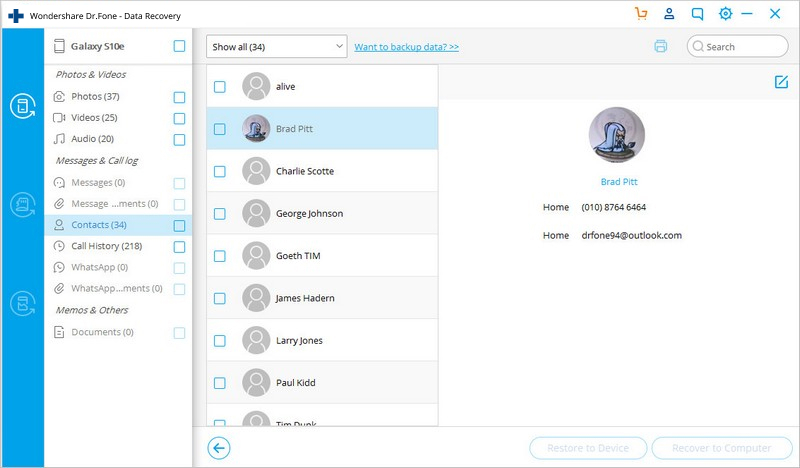 How can dr.fone recover deleted data on non-rooted devices? You might be wondering how dr.fone - Recover (Android) can recover deleted text messages Android without root (and other files). The explanation is pretty simple. 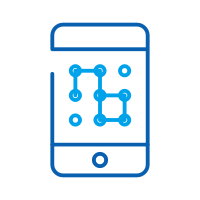 While performing the recovery operation, the tool temporarily roots your device automatically. This enables it to perform all the high-end recovery operations that are needed to recover your data. After when it is able to recover the deleted files, it automatically un-roots the device as well. Therefore, the status of the device remains intact and so is its warranty. dr.fone toolkit can be used to recover deleted files Android without root and without compromising the warranty of your device. The application is particularly designed for all the leading Android devices (like Samsung S6/S7 series). This makes it possible for the tool to recover deleted photos Android without root, while keeping the status of your device intact. Using this amazing tool is pretty easy. It has a user-friendly interface and provides an extremely secure way to recover your deleted files. Simply follow these steps to learn how to recover deleted videos (and other files) from Android without root using dr.fone - Recover (Android). Firstly, make sure that you have dr.fone - Recover (Android) installed on your system. Whenever you wish to recover deleted text messages Android without root, just launch the software and select the option of “Recover”. Now, connect your Android phone to the system. Beforehand, ensure that you have enabled the “USB Debugging” feature on it. To do it, go to your phone’s Settings > About Phone and tap the “Build Number” seven consecutive times. This will enable Developer Options on your phone. Simply go to Settings > Developer Options and enable the feature of “USB Debugging”. Read More: How to Enable Developer Options on Samsung Galaxy S5/S6/S6 Edge? 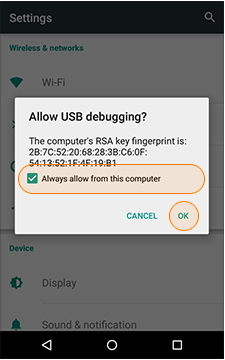 Note: If your phone is running on Android 4.2.2 or later versions, then you might receive the following pop-up regarding the permission to perform USB Debugging. Just tap on the “Ok” button to proceed and establish a secure connection between both the devices. 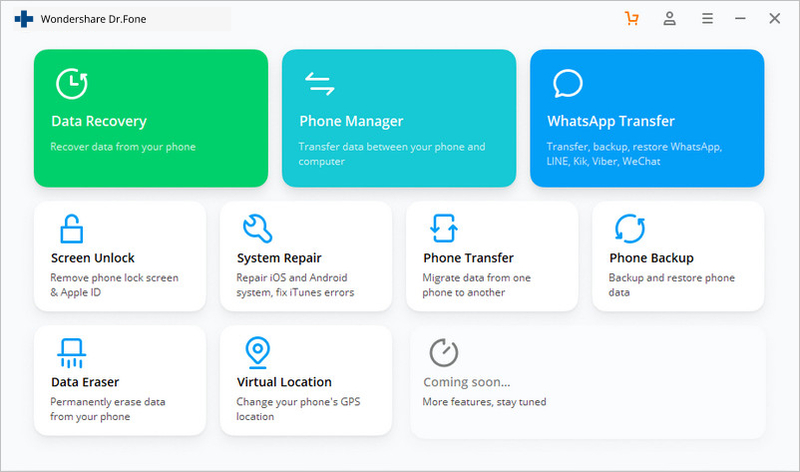 The application will automatically recognize your phone and provide a list of various data files that it can scan for the recovery process. You can simply select the files you wish to recover. For instance, if you wish to recover deleted photos Android without root, then enable the Gallery (Photos) option. After making your selection, click on the “Next” button. On the next window, the application will ask you to select a data recovery mode. Standard Mode: The Standard Mode would temporarily root your phone and won’t void its warranty. Advanced Mode: This mode will root your device in recovery mode. We recommend selecting the “Standard Mode”. Once you are done, click on the “Start” button to initiate the process. Sit back and relax as dr.fone will recover deleted files Android without root. Don’t disconnect your device during the entire operation. You can further get to know about its progress from an on-screen indicator. 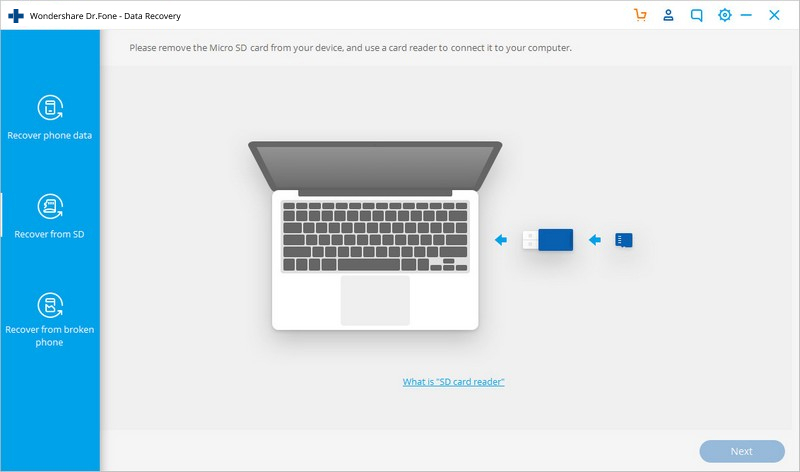 Step 4: Recover lost data files: photos, videos, messages, etc. After completing the recovery process, the application will automatically un-root your device. It will also display your recovered data in a segregated manner. You can simply preview the data files you wish to retrieve. 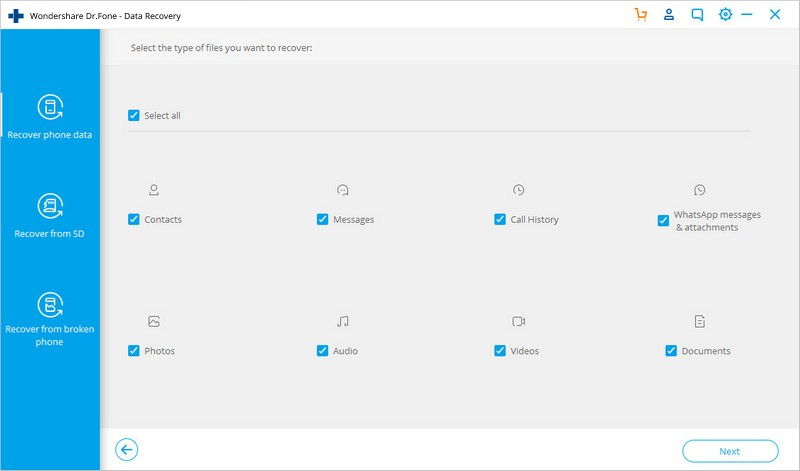 Select the files you want to save and click on the “Recover” button. That’s it! This will let you recover deleted text messages Android without root and almost every other kind of data as well. Still have no idea about Android data recovery without root? You can also check the below video about how to recover data from Android devices. You may say that your deleted photos, videos, messages were previously stored in your Android SD card (external storage). Is there a way to recover deleted files Android in such cases? Well, Android has different storage methods to store files in the phone itself and the SD card. As you have learnt how to recover deleted files android (no root), it is not complete if you do not know Android data recovery from SD card. "Oh, Selena! Stop wasting time, tell me quickly!" Step 1. Open dr.fone - Recover (Android), and select "Recover from SD Card" from the left column. Step 2. Use a USB cable to connect your Android device to the computer. Alternatively, remove the SD card from your Android device, insert it in a card reader which will be plugged in the computer. The SD card will be detected in a while. Then click "Next." Step 3. Select a scan mode and click "Next". 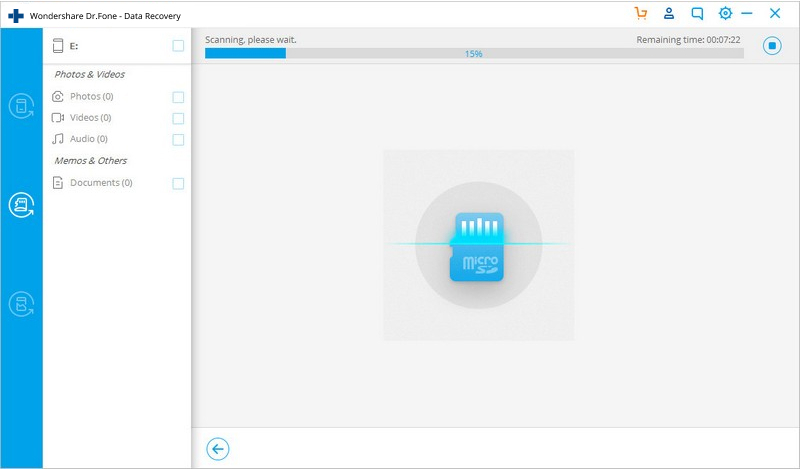 dr.fone now begins scanning your Android SD card. Keep the cable connected or card reader plugged during the scanning. Step 4. All the deleted photos, videos, etc. are scanned out. 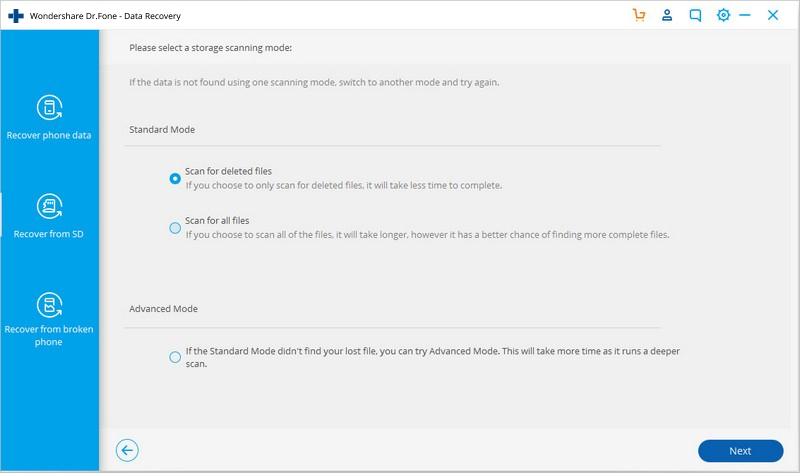 Select those you want and click Recover to retrieve them on your computer. After following the above-stated solutions, you would be able to recover deleted files Android without root in a seamless manner. 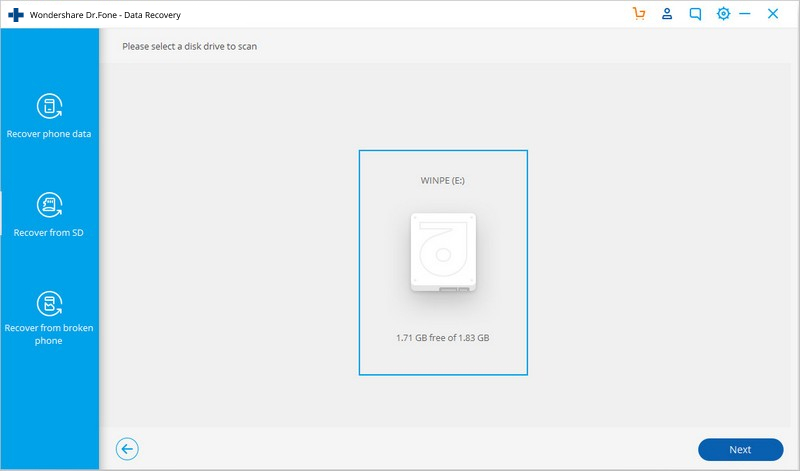 This technique will help you recover your lost files from internal and external storage without the need to void the warranty of your device. Now when you know how to recover deleted videos from Android without root and every other major data file, you can easily perform the data recovery process without any hassle.